A recent New York Times article discussed some of the cautions that cancer patients should be aware of when they turn to “Dr. Google” for advice and information. According to Pew research, close to 85% of US adults are online, and 72% of internet users have searched for health information. The information patients find online can have a significant impact on how they manage their medical conditions. Unfortunately, the quality of online health information is variable, ranging from peer-reviewed evidence-based literature to quackery and scams. If it sounds too good to be true, it is. Superlatives such as breakthrough, miracle cure, and blockbuster – these should be warning signs. 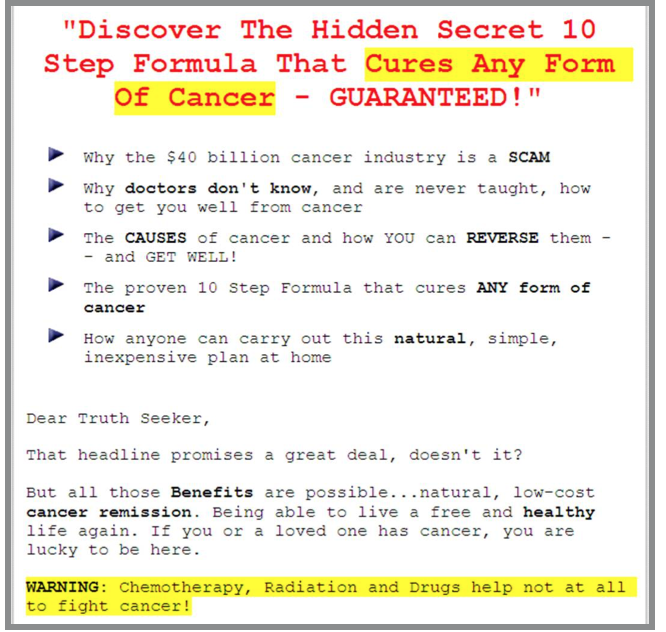 I’m not referring here to complementary therapy – treatments that can help mitigate side effects or that can improve quality of life – I’m referring here to alternative remedies that are being pushed as “the secret cure doctors don’t want you to know about”. Some additional resources can be found here. In addition to information, a growing number of patients are turning to the online space for peer to peer and community support. Twitter and Facebook both have large breast cancer patient communities which can be a source not only of medical information and resources but also more personal advice for navigating the various stages of cancer treatment and survivorship. I have been honored to co-moderate a breast cancer support community on Twitter (#bcsm – breast cancer social media) since 2011, where we take pride in ensuring that the information shared is of high quality. In fact, in 2015 we showed that those participating in the weekly online chats reported increased knowledge and decreased anxiety related to their cancer treatment. However, it is important to realize that even within “closed” or “private” online communities, there is no true privacy or anonymity in the online space, and Facebook in particular has come under fire lately for their privacy and data security practices. The internet is most certainly here to stay, and we are (thankfully) not going back to the days where the physician was the only one with medical information. Patients should be encouraged to be proactive regarding their medical care. As a physician, I feel that it is my responsibility to do my part to help ensure that when patients go online, they will find the quality information that they need and deserve – which is why when I’m not in the office or the operating room (or in my garden) you’ll often find me online.